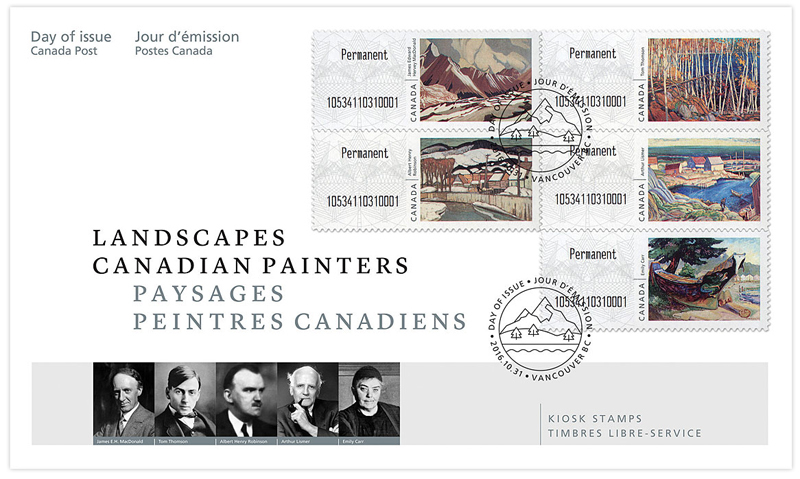 Each stamp features a landscape painting by one of five Canadian artists, including members of the renowned Group of Seven and their contemporaries. 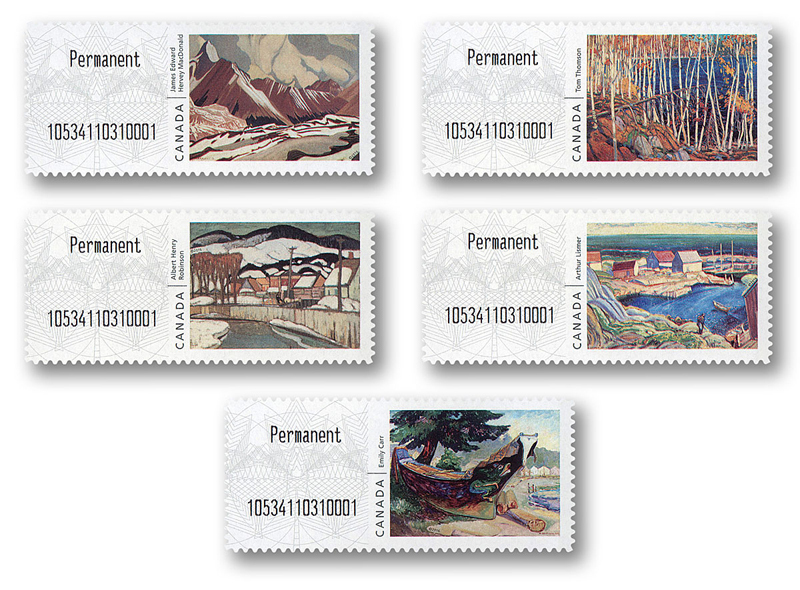 The selected works are Indian War Canoe (Alert Bay) by Emily Carr, Little Haven, Nova Scotia by Arthur Lismer, The Front of Winter by James Edward Hervey MacDonald, Winter, Baie-Saint-Paul by Albert Henry Robinson, and In The Northland by Tom Thomson. 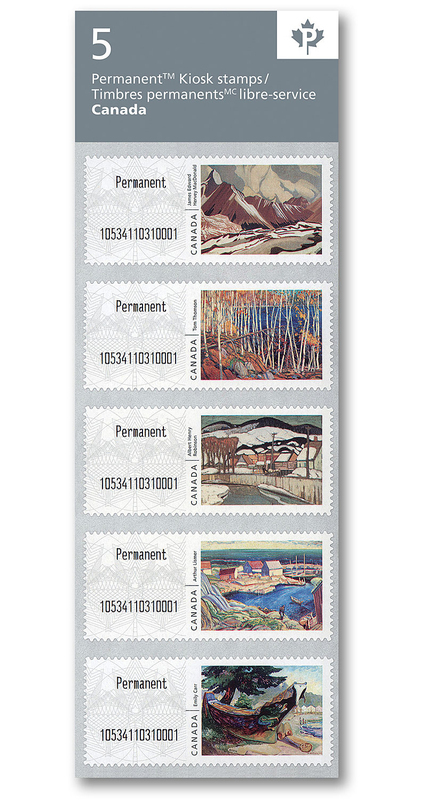 All five paintings are from the collection of the Montreal Museum of Fine Arts.